Thank you for "watching this space" for yet another feed of "Kenya's Women and Men of the Week". In addition to this theme, we have also added our e-news, "Achievers Daily," where you can keep up-to-date with our achievers to find out what new projects, appointments, or even challenges they face. 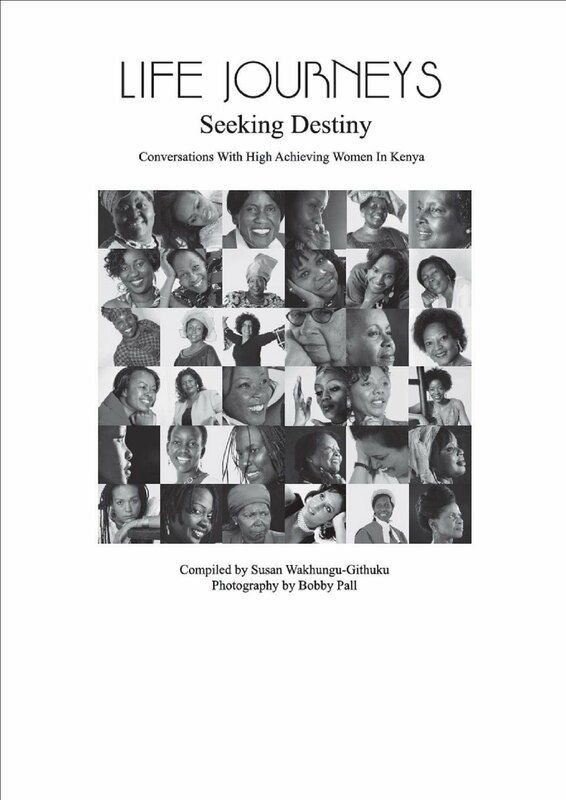 Exciting things ahead, so stay tuned and enjoy this weeks, "Kenya's Women and Men of the Week," and don't forget to click on the "Achievers Daily" tab for the latest news regarding our achievers. This week's "Kenya's Women and Men of the Week" are: Global Corporate Executive, Carole Wainaina; Member of Parliament, and former Cabinet Minister, Hon. Linah Kilimo; Writer and Vice Chancellor, Prof. Monica Mweseli; Entrepreneur, Atul Shah; Clergyman, Bishop Bonifes Adoyo; and Cardiologist, and Chief Executive, Dr. Dan Gikonyo. Carole Wainaina was recently, in June, appointed as Royal Philips Electronics Executive Vice President and Chief Human Resources Officer, a post she started officially on Sept. 1st 2011. Prior to that, she was Coca Cola's Europe Group Human Resources Director. 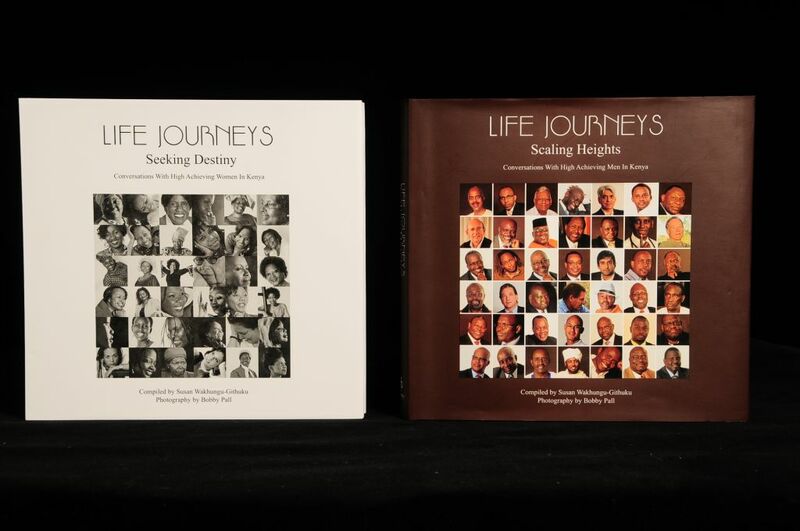 In addition to her vocational excellence, this selfless achiever and Philanthropist is a " Friends of Footprints Press" Copper Member after her purchase of 100 + "Life Journeys: Seeking Destiny" and "Life Journeys: Scaling Heights" books, most of which have been donated to schools across Kenya. "They say that you are only as tall as your greatest aspiration. My personal experiences affirm this maxim, lending credence to the adage, the 'sky is the limit'. I have been fortunate to find a life partner with rare qualities. Tony was raised by professional parents who believed in academic excellence. This shaped his perception of a dual-career home and has helped us forge a partnership in which we respect each other's career choices. He has continued to be a loving an supportive partner through my career journey and a great father to our two children. It is crucial that as human beings we understand that we all have the potential to soar to greatness and we should aspire to conquer unapologetically and support each other unreservedly. As Eleanor Roosevelt said, 'No one can make you feel inferior without your consent'. Member of Parliament for Marakwet East, Hon. Linah Kilimo, started her career as a Cashier and Clerk at the Kenya Commercial Bank - an uncommon start to her current path - where she worked from 1985-'97. This former Minister of Immigration and Registration of Persons, is also a Chairperson of Marakwet Girls and Women Project. My father was polygamous and, as children, we took turns to look after the animals instead of going to school. I remember that when it was my family's turn, one of my aunts (my father's sister) would step in. She was fond of my mother and her children and would say, 'Go to school, I will look after the animals for you'. When I read the Bible, it encourages me. 1 Corinthians 1:27 inspires me with ate promise that I can do all things and that I am God's workmanship, created to do good work. I led a lonely teenage life because of my decision to defy my culture and denial to get circumcised. The only anchor I held on to was the word of God and I prayed and spent time with God. He was the only friend I had. The higher you go, the more oxygen you need. I have come to realise that as you go up, you need more time for soul searching so as to make the right decisions that will make a positive impact. Life is a journey, climbing a mountain. It seems to me the mountain is getting steeper every day. I am hoping that on of these find days, I am going to get a place to rest, or maybe I will soon reach the peak and go down to the valley. Vice Chancellor of Kiriri Women's University, and writer, Prof. Monica Mweseli, has several publications of poetry, the use of oral literature, Language policy and practices in education in Kenya and Uganda. In 2000, she was nominated by Editorial Board for recognition in the 8th Edition of the International Who is Who of Professional and Business, by the American Biographical Institute. I enjoyed learning and going to school was a joy. I was also inspired by my elder sister, who was doing very well. My parents bought me a lot of storybooks to instill a culture of reading, from a tender age. It is no wonder that I came to love literature as I grew up. All parents should try to encourage a reading culture in their children. Succeeding in life is not something that you can do alone. When things are tough we all need a shoulder to lean on. Throughout it all I have enjoyed the support of many people: my mother, woo took care of my son when I want to do my master's, and my father, who gave me guidance and counseling; my siblings and family, especially my husband, who took care of our children alone for five years and paid my medical bills when I was suffering from breast cancer. Yes, I am a breast cancer survivor. It was one of the toughest periods in my life, but I survived due to my family's support. If I were to make a wish, I would wish that God gives me more years to make a difference for the disadvantaged. I would also wish to do good to all those that I come into contact with. Atul Shah is the Group Managing Director of Nakumatt Supermarkets, which is Kenya’s leading supermarkets chain. Nakumatt’s mission statement is to create a chain of superstores in strategic locations delivering quality, value, service, variety and lifestyle, with convenient opening hours giving everyone the opportunity to shop at Nakumatt! From humble beginnings Mr Shah has steered the supermarket chain towards having a regional East African presence, with stores in Uganda and Rwanda. They currently have 30 stores and growing in Kenya Uganda and Rwanda with over 3,000 employees.
" Similar to my father, I am a simple man, who takes life as it comes. My wife, Harsha has instilled important values to me and our too sons. Neel, my eldest son graduated from the London School of Economics (LSE) and is now working at Nakumatt while Ankoor my younger son is studying engineering at the University of Warwick. Our country is the gateway to East and Central Africa. There is little or no brain drain today, because our people are returning home as life in the western world becomes more challenging. Kenyans are now more exposed and if we conduct our politics, finances and build our structures as we should then the future is bright. East Africa is a boom region. The political situation in Kenya has always been of great concern but I believe that many of the issues have been overtaken by development. Kenyans now look forward to and appreciate that chaos only benefit a few. If I were in a leadership position I would ensure accountability from those in positions of responsibility. I would also only engage qualified personnel. Bishop Boniface Adoyo is the Chancellor of Pan African Christian University. He is also a retired Bishop of Christ Is the Answer Ministries (CITAM) formerly known as Nairobi Pentecostal Church (NPC). The Economics graduate from the London School of Economics, UK, also holds a Master of Divinity Degree. He served the CITAM/NPC community for 25 years in various ministry positions. My mother taught me how to read and write in spite of having dropped out of primary school herself. I thank God for mothers–they are more concerned about their children’s personal growth than fathers. Every end of term my mum would ask me about my position and grade. However, my father was always busy trying to make ends meet and rarely enquired about these issues. 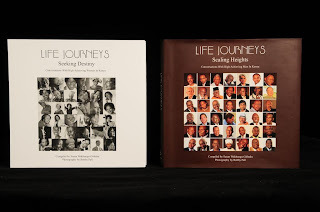 My most gratifying professional experience was the exposure that I received during travels in Britain and USA. I was exposed to a different environment and learnt many things alongside studying. Since then, I have had the privilege of travelling to more than 25 countries world, which ironically always seems to reinforce my patriotism for Kenya. Many people look for inspiration in others and hold certain people as their heroes. I do not put my full trust in a man because when your hero is a human being it means that when he goes down you go down too. Your success and thinking will also be held captive by your human hero. My hero is Jesus Christ. He can never disappoint. He has all the qualities I want to have. Dr Dan K. Gikonyo is a cardiologist and founder of the Karen Hospital where he is also the Director and Chief Physician. A renowned heart surgeon, Dr Gikonyo is also the Founder of the Heart-to-Heart Foundation and a former lecturer at the Medical School, University of Nairobi. He has written various articles on health issues, which have been featured in national and international health publications. He has also authored a book. "My academic prowess shone early and I knew I would be a doctor by the time I was ten years old. As the seventh child of the late Harun Kibuka wa Kihuni and Loise Wamaitha wa Gikonyo, ours was a large family of four brothers and three sisters. Being crowned the Chess Champion at Kagumo High School, was the only ‘games’ trophy I ever won. However, my academic exploits spread wide to other head teachers and I remember Strathmore School offering me a position in their advanced certificate (A-levels) class of 1968. However, my headmaster Mr James Kamunge was reluctant as I was his best student. He must have recognized my potential as I went on to become the first student in the history of Kagumo High School, Nyeri to garner six points in the Cambridge Schools Certificate Examination. I thank God for my mother for her prayers which encouraged us until the Karen Hospital opened its doors in 2006. This should serve to encourage Kenyans to understand that we do not need the Government or NGO support to succeed. I believe that there is no shortcut to success–the secret is hard work, patience and God’s favour.